Straightening teeth without unattractive metal wires and brackets is possible with a clear braces solution. 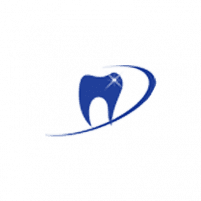 Advanced & Comfort Dentistry in Whitehall, Pennsylvania, offers Invisalign© to men and women who want to straighten their teeth quickly without being self-conscious about wearing braces. This customized, clear aligner solution offers several benefits to the patient and can straighten teeth in a matter of months. Learn more about Invisalign by calling the practice, or schedule an appointment online. If you’re looking for a way to straighten your teeth without traditional braces, Invisalign can be a convenient and aesthetically appealing alternative. Invisalign clear aligners work to shift your teeth into a more suitable position and nobody will know you are undergoing any type of orthodontic treatment. Whether you have extra spaces between your teeth or protruding upper or lower teeth, Invisalign can correct many orthodontic issues. The plastic aligners are virtually undetectable and are also removable, unlike traditional braces. Proper teeth alignment not only helps you smile with confidence but also affects your overall oral health. Invisalign can straighten your teeth gradually over a period of several months and also set you up for improved oral health as your teeth become easier to clean. Straightening the teeth can close any spaces between teeth that would otherwise be at risk for attracting bacteria and germs. The treatment begins with a consultation to discuss treatment options. Your doctor creates a virtual diagram that shows you what your teeth will look like after Invisalign treatment and can also map out the treatment length. They take digital impressions of your teeth and send those to the lab. Once the lab creates your aligners, you receive a series of clear, removable aligners every few weeks as your teeth start to gradually move into their new position. You need to wear these aligners for up to 22 hours per day. Once treatment is complete, you might be fitted with a retainer to help maintain results. If you want straighter teeth without getting braces, come in for a free Invisalign consultation. Call the practice to learn more about Invisalign or schedule an appointment online.